I’ve mentioned before that I live directly next door to the Great Smoky Mountains National Park and literally have hundreds of miles of hiking trails at my toenail tips. Every year for the past ten years, Momma and I have made the 10 mile hike to Mt. LeConte-the infamous highest peak in the National Park. 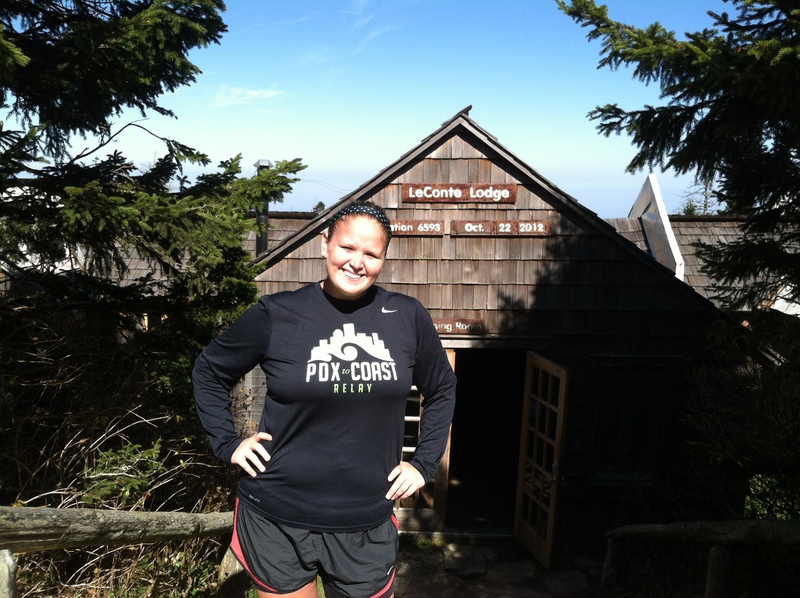 Most hiking trails here just give you pretty views and lasting pictures but the interesting thing about LeConte is that the top has a lodge and multiple cabins that visitors can stay at if they are lucky enough to get selected in the lottery. For the high price of $100/per person per night someone can stay in a cabin with no running water, no electricity, and no heating/air. A little village awaits for those on top. We have never chosen to stay the night and have always gone up and back in the same day. This year was no different. Originally the plan had been to go with a lovely group of women, but conflicting obligations and illnesses nipped that in the bud. After rescheduling the trip more than three times, Momma and I finally made the drive and hit the trail. We could not have asked for more perfect weather-a light chill but the bright sun keeping us warm as we made the ascent. 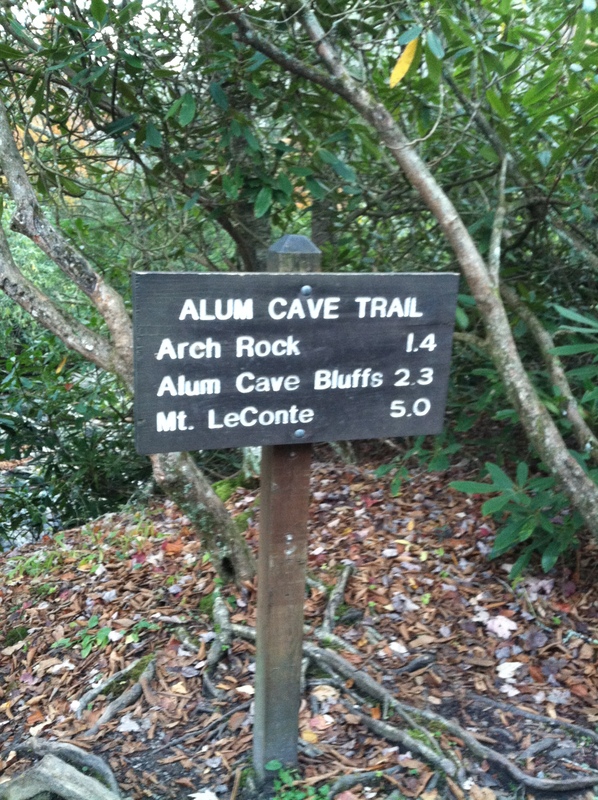 LeConte is five miles up but you hit a huge cave in the mountain about 1 mile into it. After hiking about 2.5 miles you run into the Bluffs- a huge overhang above you with alum dust under your feet. The best part about hitting the Bluffs is it is the halfway point. Not going to lie when I say that Mt. LeConte is a rigorous hike. Lots of portions of the trail have metal cables attached to the mountain for extra support when climbing. Momma and I just took our time and enjoyed the day. We ran into lots of different people and had some good conversations with fellow hikers. After making it to the top we purchased the “I hiked it 2012 t-shirt” which is usually the main purpose for hiking the trail in the first place. We snacked on a light lunch that we had packed and just propped our feet up and enjoyed the view. A few pictures later and we were on our way down. Going down is actually harder than a lot of people think. My quads were trashed and I could feel my knees starting to hurt. But once we heard the faint sounds of vehicles we knew we were almost done. I’ve never been so happy to see a Toyota in my life. We finished our day with an early dinner in Gatlinburg and headed home to get some rest. I’m so thankful that we make this hike every year and that I have a Momma who loves to exercise and be outdoors. I am already looking forward to next year. This entry was posted in Uncategorized and tagged daytrips, fun, great smoky mountains national park, hiking, momma, mt. 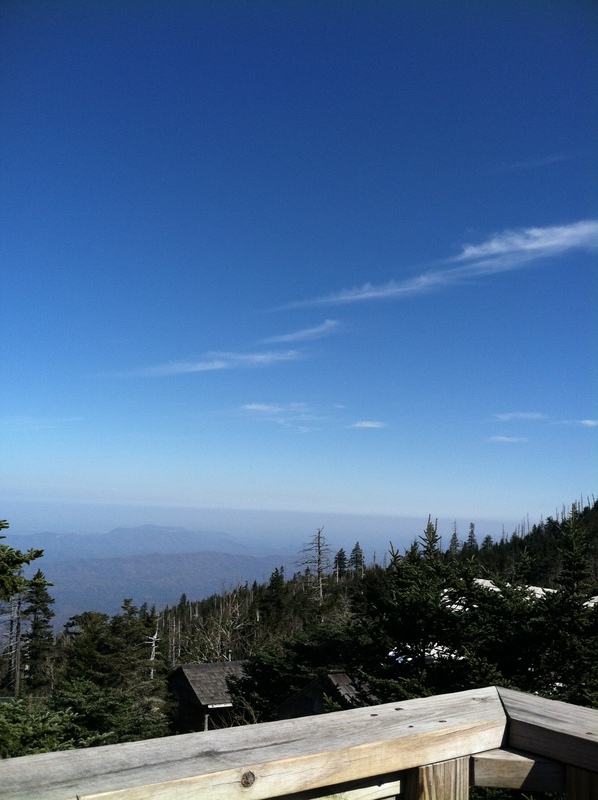 leconte by thegogirlblog. Bookmark the permalink. Going down IS harder. I hiked Scotland’s highest mountain when I was 5 months pregnant. Going up hurt…but going down was a killer. Great hike…lovely photos! !